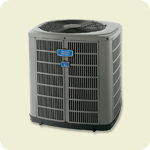 Two-stage cooling helps you save up to 60% on energy bills. * Includes AccuLink™ connectivity for greater control and convenience. •Cools with an environmentally friendly refrigerant that’s ozone-safe. **Subject to IRS regulations. Customers should consult a tax professional for advice on tax preparation. Generous cooling and incredible energy efficiency. Our most efficient single-stage air conditioner. •Cools with an environmentally friendly refrigerant that is ozone-safe. 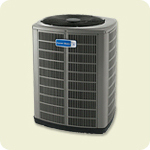 Reliable American Standard Heating & Air Conditioning comfort at its most affordable.